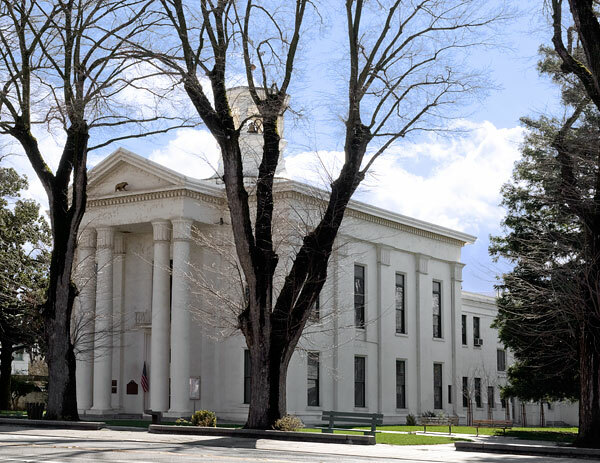 Erected in 1861, this Federal/Classic Revival Style building is the oldest remaining courthouse in the Sacramento Valley. The "Southern" style reflects the county's heritage from the ante-bellum South and states-rights sympathies during the Civil War. In its early years, the courthouse also served as the county's center for cultural, social, and religious activities. 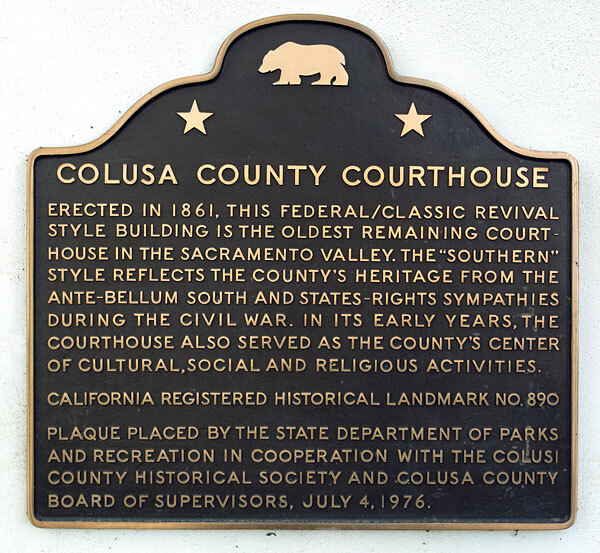 Plaque placed by the State Department of Parks and Recreation in cooperation with the Colusi County Historical Society and Colusa County Board of Supervisors, July 4, 1976.